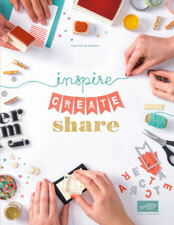 I’ve been having a great time creating a bunch of projects to display at our recent New Idea Book and Catalogue Launch. 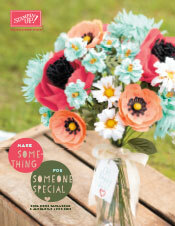 Here are just a few to tempt you! 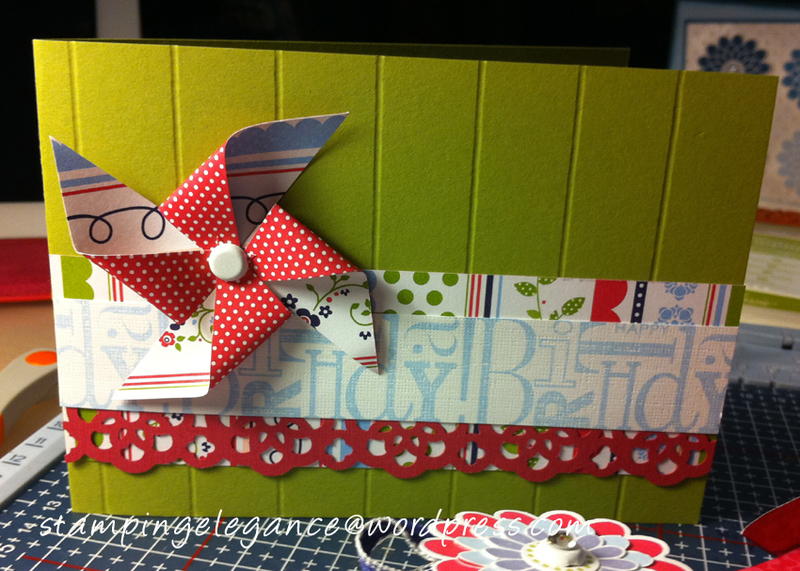 This one features hostess products (Cheerful Treat DSP and a fantastic Birthday Stamp Set) and the New Lace Ribbon Border Punch – isn’t this just divine? I am in love with Blue at the moment! 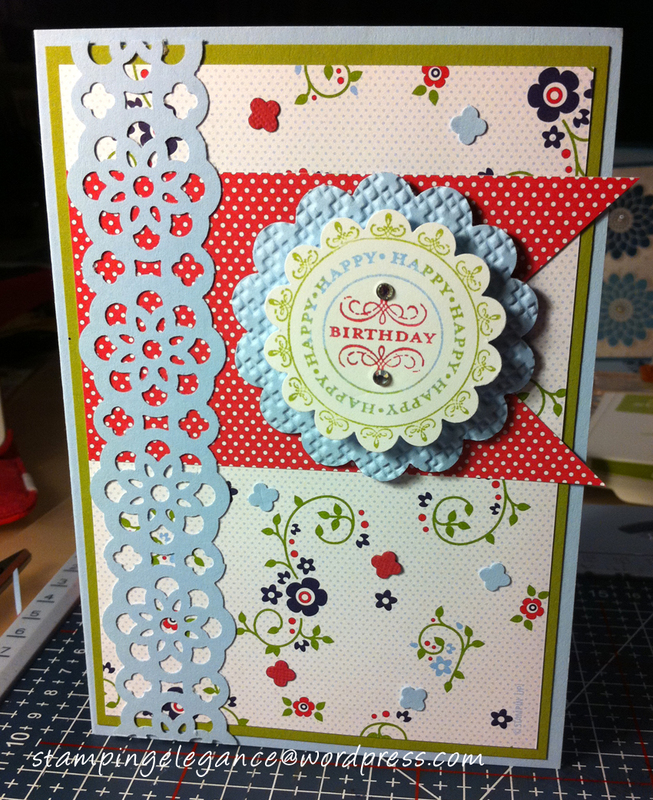 This card features the Button Buddies Stampset, and the Creative Elements stamp set. The colours are Island Indigo (New In Colour) Bashful Blue and Marina Mist. 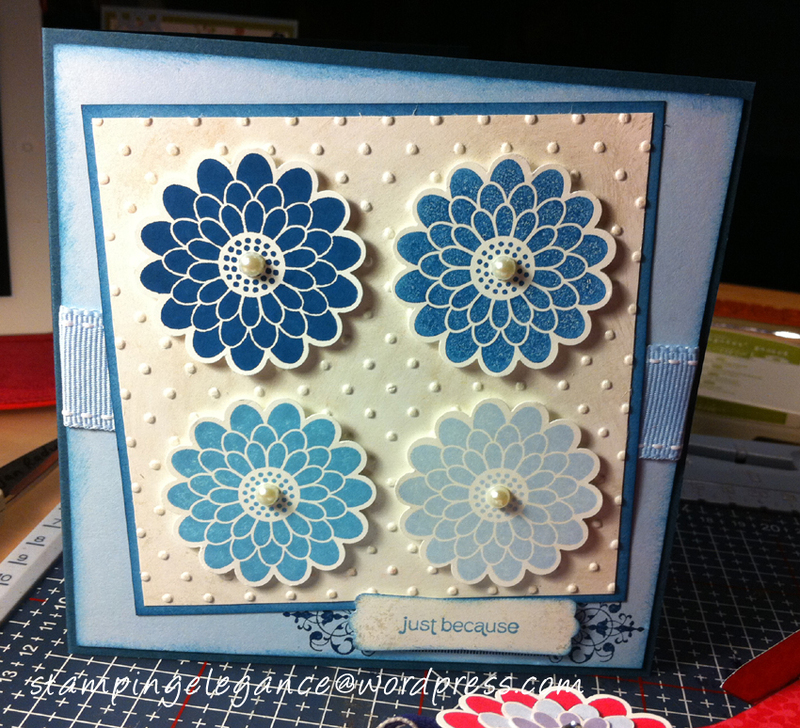 The Polkadot Background is first embossed onto White and then sponged all over with Frost White Shimmer Paint.